Finally I’m writing about The Law of Attraction. In fact, I’ve written about it in many posts here, but I’ve never named it as such. But the key understandings that you are responsible for your state of mind and for what you create in your life are also at the core of the Law of Attraction. 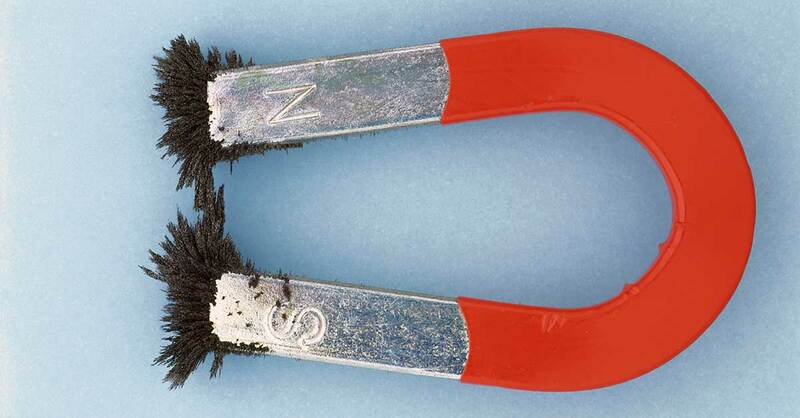 The Law of Attraction states: Like attracts Like. You attract in your life what you think about most of the time. What you focus your attention on grows, and your energy and actions flow towards it. For me the Law of Attraction was intuitively clear pretty early in my life, without labeling it as the Law of Attraction (or even “The Secret“). Some time in my teens I decided to “focus on what I want”. That was essential for me. If you focus on reading this blog-post here, you absorb the meaning of the information and start thinking processes on your own, which may lead to certain actions of you integrating the ideas positively into your own life. You focus your mind onto something and therefore create (attract) circumstances in alignment with it. It’s you actively directing thoughts and actions to create the reality you want, starting with your thoughts. The key message of the Law of Attraction is that it all starts inside of yourself, not on the outside. It’s not that you look outside to be influenced. This would let you use the Law of Attraction to give you more of what you see, not of what you desire. You have to turn that around and look inside and influence the world. Your thoughts have creative power. When you put your attention on what you don’t want (i.e. “I hate my current job!”), you feed that situation and will increase its presence. Instead you have to refocus on the thing that you want and take attention away from what you don’t want. Now I think this is a pretty intuitive message of the Law of Attraction. Still, you can do this wrong by not getting conscious about negative thought-patterns and following every (negative) thought your mind comes up with. So if you focus on the negative parts in your life and put your energy and actions there, maybe even powered with emotions like anger, revenge or hate, you tend to increase these kind of situations instead of resolving them. If instead you focus on your purpose in life, your vision and your positive goals, what you already love and what you are grateful for, you tend to increase these kind of situations and put your thoughts and actions there. The news may be that you have to match your inner state with what you want. Your inner state are your thoughts, feelings, emotions, beliefs, energy. This state is what attracts what you get. So you have to BE in harmony with your goal. Then you will manifest it. So the best thing you can do is to become and be the person on the inside to whom your goal would come naturally (or who would already have your goal). In order to use the Law of Attraction seriously you want to take full responsibility for your inner state and your results. That helps you to become more aware of your thought patterns and your emotions. Because you realize that your thoughts have an important impact you understand that you have to take responsibility and choose which thoughts you want to follow. The same goes with your emotions. Just because a thought or an emotion enters your mind, you don’t have to follow them. They are not reality. But they have the power to influence your reality greatly. So you have to consciously choose. And by making the choice, you use the Law of Attraction in your favor. When you let them all fire into the same (positive) direction of what you want, the Law of Attraction will work best. You especially want to avoid conflicts, for instance if you have the goal of being in a loving relationship and you have the belief that trusting other people is dangerous, you would create a conflict for the Law of Attraction. Another example would be the goal of having your own business mixed with the fear of not having enough time, which would create resistance and avoidance patterns. So the key is to realize that your mental setup is a creative process. Your thoughts help you to create your reality. Raise your awareness and give them room and choose which you want to follow. Hold the good ones and cut the bad ones. I like to comments from skeptics saying that there is no proof for the Law of Attraction so it does not exist. Science and Spirituality can co-exist in all our lives. But if you are a hard die believer in LoA, affected by cognitive bias, then please refuse to believe in science. For instance refuse to believe that your personal computer was built by using science knowledge, refuse to believe in Newton gravity law, refuse to believe in scientific evidence in general. Program your brain with positive thinking like a robot. Don’t accept your feelings as they are. Don’t love yourself as you are. Throw your life experience and your own judgment into the trash. Never desire to save your emotions. Well you can believe that we do not breathe air but your belief does not make it so! So what’s my point? Law of attraction works whether you believe in it or not, just as breathing air is what happens for you to stay alive, again whether you believe in it or not. We are complying with the LOA every single moment of the day regardless of what the outcome is. It’s not even about thinking it’s about energy(feeling_).What you expect (in feeling) in your life is what you get more of. The opposite is impossible as impossible as being able to live without breathing. And sure you can post all the links in the world proving that LOA is a croc and quite frankly it’s a waste of your time. I can site you loads of articles that corroborate scientific trials for and against just about anything on earth, they mean nothing. The brain does not make you more anxious because of your LOA aspirations especially when the author is saying that studies show that the brain believes you’ve already achieved what you want. So why would there be anxiety if it’s reached the goal it is anxious about? That makes no sense and a silly contradiction. But the real star of the article was the ludicrous suggestion that someone was able to trick the brain into not being thirsty. Seriously try going insanely thirsty and no amount of visualisation will lessen the need to quench the thirst. Otherwise people would not die of thirst simply by tricking the mind that they are no longer thirsty. Perhaps it would be prudent to stop wasting time on articles that are clearly designed to placate people with no thinking or rational abilities.Sure LOA has been hyped up and made marketable with the introduction of “The Secret” but this is a process that is as natural as breathing. If you’re not getting the results you want then it means that you are still holding on to beliefs that are not allowing you to create what you need. What I have discovered works is to rewire the brain by getting into the feeling state of what the goal will make you feel. So instead of affirmations (which don’t work unless you have got the subconscious mind to believe the affirmation)and visualisation, start feeling differently more and more. So if you want to have more money so you can feel more freedom in your life from constraints then start feeling more often what it would be like to feel freedom on every level.By the way this works, it’s not about saying if you do it wrong it won’t work. You cannot do it WRONG if you start shifting into more positive feeling states (or negative ones it just works negatively) you will start to attracting new experiences which match your expectations because that is defined by the most predominate feeling states you inhabit. Jash, the way I see it Tolle talks about consciousness and partly, even being without thought. Although that does not mean that thought is wrong or something. But when you realize that there is more, something changes. You don’t identify with thoughts anymore. While the LoA is just using thought (and emotion, mind-content) to create and “attract”, which means nothing else to me as being in harmony (and not in your own way) with what you want. So it’s not contradicting, it’s different levels. In it’s simplest form it’s consciousness (Tolle/Spiritual) and thought in consciousness (LoA). I’ve read the the secret and the Esther and Jerry Hicks stuff. And more recently the Power of Now by Eckhart Tolle. The practice of conciousness as in the Power of Now does make sense. However it does also say to live in the present moment and to be above the level of thought and emotions, that is- positive and negative. So I find this contradicts what they say in the above teachings of LOA because they are trying to change negative emotions to the positive AND identifying with them AND living in the future by imagining and visualising a positive future. Acting “as if” (which is the state to manifest in) is easier gained with what Eckhart Tolle teaches as opposed to the above teachings of LOA. Because when you think about it, when you really have something in your life you want, you are unattached whereas when you are identified with positive thoughts you are creating an attachment, even if you are trying not to. So you are not being conscious but rather trying to get, change or fix something. I don’t want to sound biased I’ve kept open-minded over both methods, i’m just seeking the truth! It’s not in conflict with hard work. It’s an addition. If your mindset is aligned with the law of attraction and you are supporting your dream with hard work, this will probably help. At least as long as you don’t overdo it and create stress in your life, which would backfire again. If you are asking if “hard work” alone would lead to success, that’s certainly not the case. The cliche “work smarter, not harder” is already pointing at the solution that you make 90% of success with your mind, with your strategy, knowledge, networking and focussing the RIGHT things. So all in all, I personally would say the sole mentality of “hard work” is outdated. I just saw the documentery “The Secret” yesterday. And I found this article today which solidified my trust on this law. But my question is, doesnt it conflict with the essence of “Hard Work”. I mean, if aligning your thoughts is good enough to get to your goal, its just too good to be true. Please tell me if im missing something here. Thanks. Thank you Kat! Nice to have you here.